Prizes and competitions are a great way to put your business in front of many thousands of potential clients. 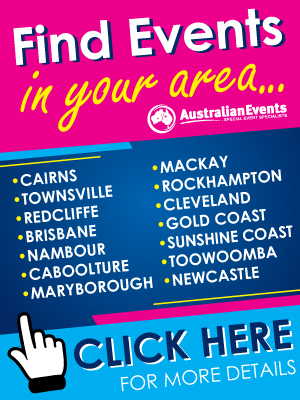 Allow Australian Events to promote your company, via our event website, Facebook channel, email newsletters, newsprint advertisements and Event Guide or even through our TV campaigns. Please note: prizes will be individually assessed by Australian Events. All sponsorships benefits are provided as a guide only, limits apply, confirmation provided per event. We have a marketing solution for all! Fill out the form below and an Australian Events representative will be in contact with you shortly to confirm your prize sponsorship! No Yes - I wish to supply a prize for the email newsletter valued between $150.00 - $500.00. Prize Sponsor: To the value of $1,000.00 - $5000.00. Businesses providing prizes and competitions at events get a MASSIVE amount of extra promotion! Prize providers are promoted in the lead up to an event in mass emails to our already established database, on the event website and on social media feeds. 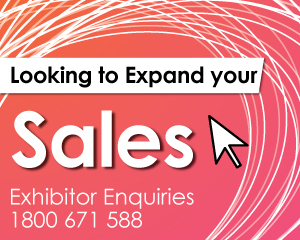 Build and reinforce your brand, with the additional opportunity to draw a huge crowd to your exhibition site! Major Prize Sponsor: To the value exceeding $5000.00. Stand out from the crowd by becoming a Major Prize Provider. Supply the event’s major prize and watch as thousands drop their coupon off to your site all hoping to win. 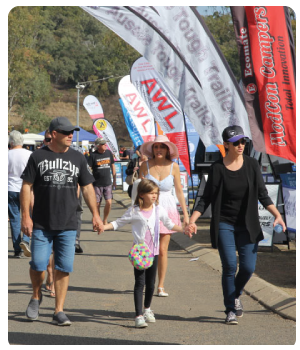 See your prize details promoted in mass emails, on the event website, social media feeds, in newspaper advertisements, throughout thousands of event guides inserted into local papers and given to visitors at the gate, on the radio and in television commercials! On top of the extensive promotional campaign that will deliver solid and measurable results, you can expect to have many thousands of visitors come to your site during the event, you may also gain a substantial database of future clients from this exercise! 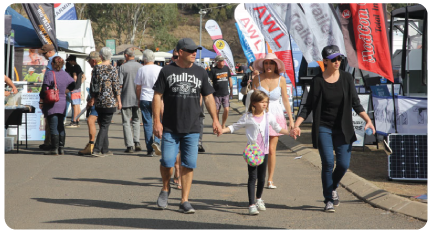 For more details on becoming a prize sponsor contact Australian Events on 1800 671 588. No Yes - Minor Prize Sponsor - Supply a prize valued between $1,000.00 - $5000.00 Yes - Major Prize Sponsor - Supply a prize valued above $5000.00. Description: The onsite entertainment at an event creates huge crowds & an exciting atmosphere. This option involves supplying a new Barbeque, white goods or kitchen display for use with the onsite cooking demonstrations at the event, for everyone to see your product in action, and later being drawn for one lucky visitor to take home.